Recommended by speech therapists, the adorable animated babies make learning fun! Your baby or toddler will love signing along with the adorable animated babies. One of the most fundamental human desires is to be understood, research has shown baby sign language can reduce frustration for babies and parents by providing a means for babies to communicate before their vocal cords have developed for speech. 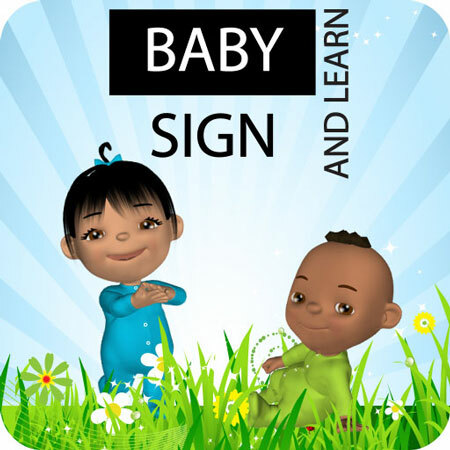 Subscribe to the Baby Sign and Learn newsletter to receive your free downloadable baby signing chart. Watch Baby Signing in Action! At 11 months old my daughter really enjoyed showing off her signing skills! 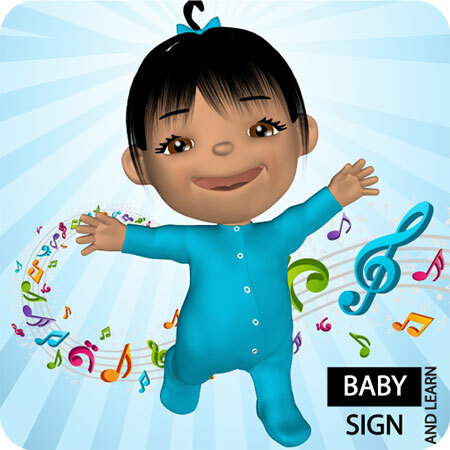 Teaching your baby to sign is as easy as teaching them to wave bye-bye or blow kisses. Babies are natural mimics so there is no requirement to subject your baby to structured lessons or special training. Copyright © 2010-2018 Baby Sign and Learn. iPad and iPhone are trademarks of Apple Inc. Android is a trademark of Google Inc.